The halal food industry is still far from achieving its full potential and not leading in quality and profitable business, according to industry experts. The emirate of Dubai wants to be the world center of halal trade and is making an effort to globally unify the market’s procedures. All Halal food products sold in Dubai will soon have to carry a smart logo that will help consumers verify the authenticity of their halal accreditation using a mobile application. They enlightened Ghana’s largest exporters of raw agro material on the processes they would need to use to be able to export their products to Dubai. The programme will help evaluate the efficiency of labs in testing halal food and beverage products, and will help support conformity assessment bodies. 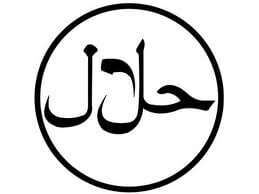 Tie-up aims to promote and educate manufacturing firms in the UAE about the Halal brand. Dubai Municipality has asked supermarkets to provide one cashier specifically made for purchasing these foods due to several complaints made by Muslims in the UAE. Dubai is in advanced talks with the Malaysian government on a deal to make standards of halal food products mutually ­acceptable. Company on track to complete new factory in early 2015 and triple production of processed foods. The world’s Muslim population is estimated at around 1.6 billion, and the majority is believed to adhere to or prefer to adhere to halal products when possible. “Given the latent demand, the potential market for halal products and services is huge and will continue to grow,” said Essa Kazim, secretary general of DIEDC. Eng. Hussain Nasser Lootah, Director General of Dubai Municipality has announced that the civic body will soon start establishing an international accreditation center for Halal food. It comes as Dubai Accreditation Department (DAC) of Dubai Municipality became signatory to the International Accreditation Forum( IAF ). All Halal meat products and slaughtering facilities will require government certification after Dubai introduces its new accreditation norms for the Halal industry in 2014. Government officials are pushing for new regulations to accredit and standardise halal food companies and to set up an international centre for halal food accreditation in Dubai. 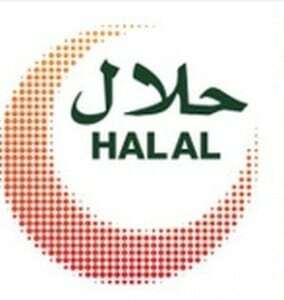 Islamic economic experts said a halal certification stemming from Dubai would have a greater effect on global halal trade than existing regulations, which have limited enforceability. Dubai FDI, the foreign investment office in the Department of Economic Development (DED), along with the Austria Business Center has facilitated the successful establishment of a European Halal foods company in Dubai. Halal integrity is an important factor that governs meat imports into the UAE, according to experts working on a related campaign with the Emirates Standardisation and Metrology Authority (Esma).